A former Comenius project ("Generations in Europe between the Past and the Future") where we touched upon the subject of homeland made us think about migration in Europe. Migration has always been a part of European history and European identity. In this project we would like to make students aware of the concept of migration in modern society. We want to show how Europe, to a large extent, is a result of ongoing migration and integration processes. These processes are not easy to understand and explain and seem also, for many people, to have negative results instead of realizing that migration is an old concept that primarily has positive effects on the countries involved. To understand the present situation we must also understand the past. We need to widen our horizons and for the students and their families taking part in the project to understand the importance of migration and the positive effects of it. Cultural exchange between countries is one of the key elements of progress and innovation. 1. create guidelines for schools concerning integration of new students / foreign students. These guidelines will be based on experiences made during the project where the long term individual student mobilities play an essential role. 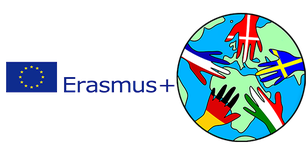 2. create a didactical tool kit with classroom material on the general topic of migration in Europe. This will consist of material for lessons and projects concerning the various topics of migration such as history, present day society and literature. 3. produce a documentary film in which we want to show successful stories of migration. The film will focus on some people who have migrated to our countries and have experienced a positive and successful integration. 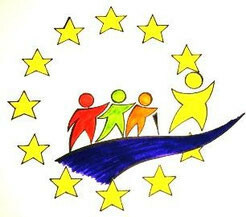 All of our products will be available from our website and on the resource-platform on eTwinning. 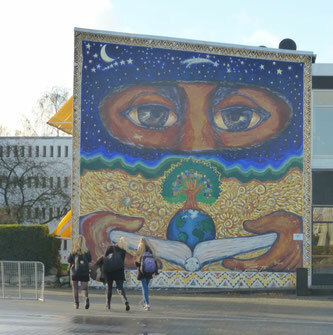 Our 5 upper secondary schools are located in 5 different countries. Each school will have a group of 24 students and 4-8 actively involved teachers. The schools are situated in different rural areas. Two of the schools are situated in small towns (Valdobbiadene and Laufen), two school in or near medium sized towns (Poitiers and Falkenberg) and one school on the outskirts of a capital city (Copenhagen). This means that the diversity of the students will be wide, which will support the main task of changing the mindset. During the project we we will use and create empirical selfmade case studies which are the basis of the primary products made in this project. There will be professional input from experts coming to assist and lecture during the short group mobilities. We will also do practical field trips during each short group mobility and we will make interviews and study visits for the documentary film. - The participant students will get a deeper understanding of the theme “Migration” both from a historical and a present point of view. - There will be an improved integration of foreign students in our schools and an understanding of how this can be carried out in a good way. - There will be a raised level of digital competence for all participants since much of the work in the project is carried out using ICT (digital platforms such as E-twinning, filming and editing). - The skill to use and understand foreign languages will be improved. English is the common project language, but many of the students in the project study one of the major three languages (German, French and Italian) and the project will give them rich possibilities to improve their skills. Furthermore, the project will also give participants the possibility to meet and learn a about two smaller languages (Swedish and Danish). The student's own native languages will also benefit from the project since they will be used working on the project theme at home in class. The students and staff involved in the project will experience a change of mindset concerning the topic of migration, which hopefully will result in a better understanding of and willingness to integrate migrants in their network and thereby in society. There will be social and linguistic benefits and both students and teachers taking part in this project will not only learn about migration but will also learn about cooperation over boundaries in Europe. An international project like this one creates new networks in Europe. In short, taking part in a project like this is a lesson for life.